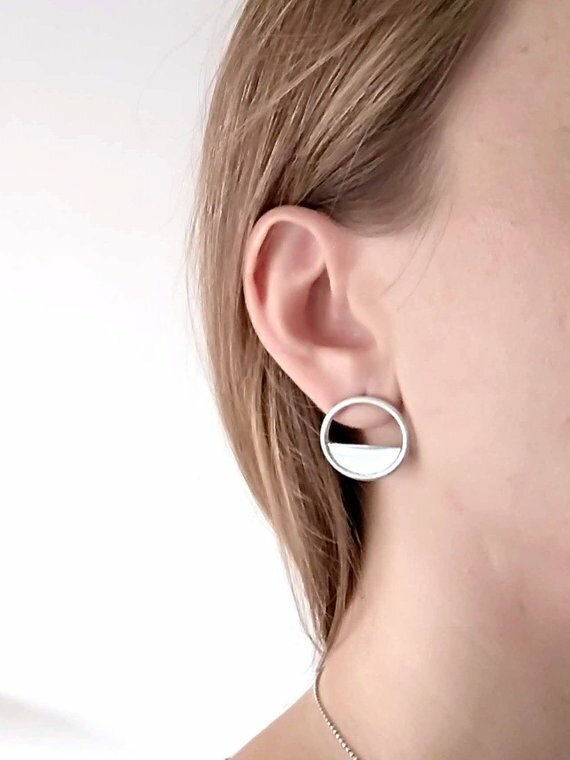 - The earrings are hand cut from 2mm round sterling silver and sterling silver sheet. - The hoop measures 2.2cm (0.87 inches) in diameter. 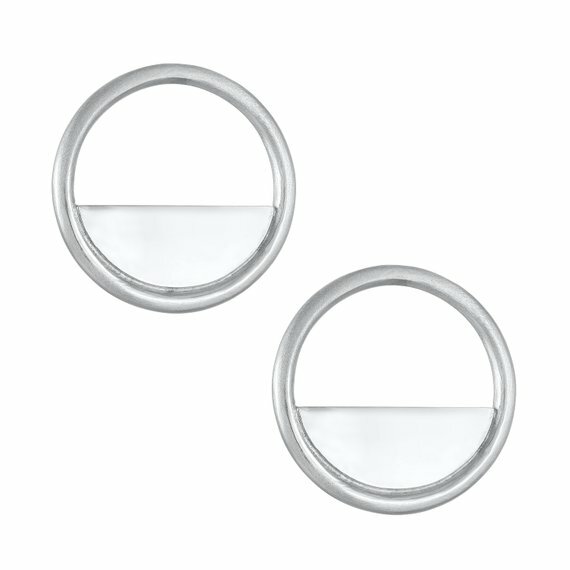 - The hoop has a brushed matte finish and the semicircle piece has a mirror polished finish.